My carbon ﬁbre bows are a practical solution for viol players who wish to avoid the use of tropical hardwoods, either for personal reasons (including allergies to certain tropical woods) or in order to meet CITES requirements when travelling internationally with instruments. The bows are based on the simplest geometry, of a linearly tapered stick (in fact a carbon tube) which is straight when not under tension. This geometry matches my observations of certain historical bows, including the Hill #19 violin bow (circa 1700) in the Ashmolean Museum, Oxford. They have a modern screw-adjuster for tension. I oﬀer these bows in weights between about 50g and 85g for treble, tenor and bass viols, with various diﬀerent choices of design for the tip, the frog and the button. I like to use either boxwood or plum wood for the button and frog, but other options are available too. 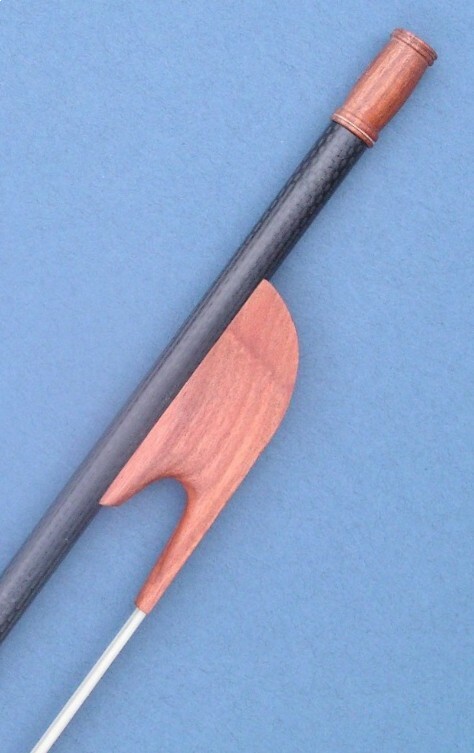 I understand that a bow needs to work both for a particular viol, and for an individual player, so I send bows on approval (sale or return), even when they are made to order. In practice, very few are returned. I recommend these bows as the best available for my Renaissance viols, and they work excellently on later viols too. 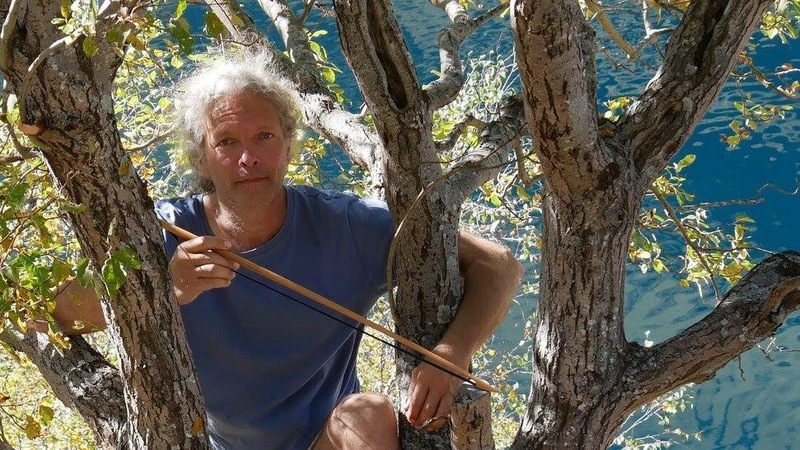 Coen makes his bows from the wood of the false acacia tree (Robinia pseudoacacia), the blossom of which is the source of acacia honey. This North American tree was introduced to Europe at the beginning of the seventeenth century, and it is well established in the area where Coen lives near the Pyrenees in South West France. I usually have a small stock of Coen&apos;s bows, and you can also contact him through his website www.renaissanceviolbows.com.